supplied and supported by Wormtec worm farming and vermiculture. Wormtec Worm Farming and Worm Fertiliser leads the world in worm based Organic Microbial Fertiliser Production. APPLIED or SUPPLIED AUSTRALIA WIDE FOR YOU – organic fertiliser australia with unbelievable cost efficient pricing. We can supply or apply our Wormtec Organic Worm Extract Microbial Fertiliser for your Commercial Crop or your lawn, turf, gardens and sporting fields, with our fleet of on-site spray vehicles and custom built spray units with 150 metres of hose we can reach most jobs, This is a totally new Wormtec Worm Extract Organic Microbial Fertiliser and Fertiliser Mobile On-Site Application Service only available on the Queensland Gold Coast and surrounding areas, We also still ship direct to our commercial farming and fertiliser producer customers Australia Wide. Wormtec Worm Extract Organic Microbial Fertiliser is the result of 16 years of constant Research and Development. 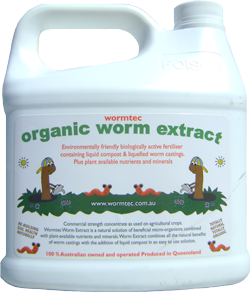 We ship our Wormtec Worm Extract Organic Microbial Fertiliser Australia Wide Direct to our customers at a rock bottom price. Do you know the difference between Worm Leachate, Worm Tea and a Worm Extract? The Pros and Cons that you really need to be aware of especially if your fertilising your vegetables and fruit trees. As can be seen from the below article all the three products, Leachate Tea, Worm Tea and Worm Extract are all derived from worm castings, but that is the only similarity between them. All these worm based fertiliser products are all extremely different, but only one stands out as the best! Read on to find out what these products are, which one will best suit your needs and also note the detrimental side effects of the other two. What is the difference between Wormtec Worm Extract Fertiliser and Worm Leachate and Worm Tea? Worm Leachate is the run off water from a worm farm, so it’s the excess water that drips out of the bottom of your home worm farm or your large worm farming windrow, it contains some nutrients and low numbers of microbes, but this liquid run off water from unprocessed food waste can contain Phytotoxins and Pathogens (Phytotoxins are detrimental to plant growth) if you have low worm numbers in your worm farm it makes these compounds even higher in numbers in your Worm Leachate. You will know from the instructions given to dilute Worm Leachate at up to 50 to 1 this is so you can dilute the toxicity (Phytotoxins) if there in large numbers in this product so they won’t burn or harm your plants. Worm Tea is produced by numerous methods of soaking Worm castings in a bucket of water or by suspending a bag of worm castings in a bucket of water and allowing the nutrients in the worm castings to dissolve into the water, very low numbers of microbes enter the water using this method, but nutrients will. As in Worm Leachate if you use worm castings of low quality or with un processed food or low worm numbers you risk both Harmful Phytotoxins and Pathogens been in your finished liquid Worm Tea. Like Worm Leachate You will be given instructions to dilute your Worm Tea at up to 50 to 1 so you dilute the toxicity (Phytotoxins) of the worm tea if there in large numbers in this product, this reduces the chance of burning or harming your plants. Wormtec Worm Extract Wormtec Worm Farming and Vermiculture started to develop there organic fertiliser 16 years ago with the idea of giving farmers an organic fertiliser to solve the problem that where been caused by salt based chemical fertilisers, we worked closely with farmers and developed this market leading Worm Extract organic fertiliser powered by the power of micro biology. Wormtec Worm Extract starts with the production of high grade worm castings with 16 years of research and development to develop these worm castings to the standard they are now. Our worm castings are fully processed and contain no food or organic matter they are pure worm castings, we even monitor worm numbers at a set level so that we have none of the problems both Leachate teas and Worm teas have as far as contamination and toxicity goes, we also keep everything totally organic. We also have a method of pre-releasing the nutrients and biology contained in our wormtec worm castings before they go into our Wormtec microbial brewer extractor. Our Wormtec Worm Extractor brewer uses the power of both water and air to gently tumble and extract the worm castings into a water solution and allowing the microbes and nutrients with all the fluvic and humic substances to dissolve into the water without harming the microbial population contained on the worm casting. Worm Castings are the real key to success. As can be seen from above both Leachate tea and Worm teas the worm castings are the key to producing liquid fertiliser to fertilise your garden or crop, with low quality or contaminated worm castings you risk cross contaminating the vegetables or fruit you are going to eat or on sell to consumers. This is the main reason we only produce and use our own developed and produced Wormtec worm castings in our fertiliser Extractor brewer, we have total control of all aspects of the fertiliser production from the very beginning to the very end as it’s all done by our team on-site at Wormtec Worm Farming and Vermiculture. Without having total control of all aspects of your own fertiliser production you will have no idea of what your finished fertiliser actually contains be it good or bad. 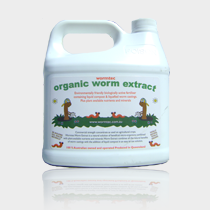 Wormtec Worm Extract can be used straight without diluting as it will not harm the most fragile of plant, but we do dilute our worm extract fertiliser not to stop it from harming plants but, so you can evenly distribute the nutrients and microbial population across your farm, garden and lawns. Wormtec Worm Farming and Vermicultures worm extract fertiliser is an extremely concentrated mix of both Nutrients and Micro-Biology I have seen test data on some teas and extracts claiming a couple of hundred thousand microbes per mill of liquid, our test results show 8.2 million microbes per mill of liquid. If your purchasing product for your garden, ask to see the manufactures test data on both microbe numbers and nutrient levels as you can normally purchase high quality products for the same cost as these products with low numbers of both nutrient and microbes. What Do You Need to Know to grow Crops or Garden Plants? I have written 9 news articles below please read them as this information is required to succeed in growing both commercial crops and garden plants both organically and in a sustainable manner, without an understanding of this basic information your success will be limited. Soil Ph: Should I Know Mine? Yes. Soil PH is critical and controls the soil. When your soil PH swings away from neutral and goes above 8 and below 5 the soil microbes will start to go dormant, once this happens your nutrient cycle stops, mineral availability is at its largest availability at around PH 6.4 so this is where your soil Ph should sit, as your PH swings you also get chemical lock up in your soil, so the minerals and nutrients are there but some are unavailable for your plants to use. Organic worm extract microbial fertiliser As all good gardeners and farmers know growing healthy crops and plants depends on the life in our soil, building rich soil high in humus and nutrients requires the soil to be alive with microbes. As these microbes convert organic matter into humus and solubilise minerals and nutrients so that they can be absorbed into your plants via the roots or through the leaf surface, if the nutrients and minerals are not soluble the plant is unable to absorb these compounds for healthy vigorous plant growth. Our Wormtec Worm Extract Organic Microbial Fertiliser will help restore and rebuild Soil Health and Vitality, Whilst reducing both Soil Compaction, Thatch build up and Pest and Disease Attacks without the use of Chemicals. 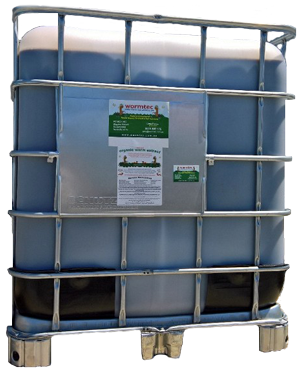 Shipped direct to your home or farm, whether you want 10 litres, 1000 litres or more we can supply you directly from our factory on the Gold Coast Queensland, we don’t mark up freight costs so buy direct from the producer and save. Wormtec Worm Farming and Vermicultures fertiliser plant can produce in excess of 1 million litres of high grade Wormtec Worm Extract Organic Microbial Fertiliser a year. Every batch is identical as they are brewed the same way every time with our self produced worm castings; because we produce all the inputs for the brewing we have total control of the liquid organic fertiliser produced. Contact me today on 0413 807 176, so I can start the job of helping you achieve a fabulous lawn, or assist you in bringing your Commercial Crop, Sporting Fields, Golf Course or Pasture back to a condition that you can be Extremely proud of.